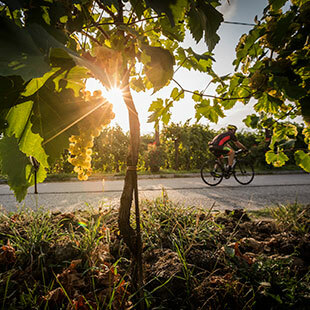 These are the three most iconic areas for experiencing the Veneto region by bike. 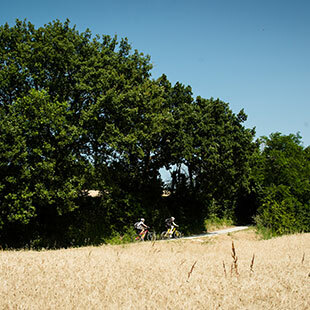 Going on a mountain bike holiday in Bibione and Venice means cycling along farm roads, woodland single tracks and up and down riverbanks near any romantic traveller’s ultimate dream city: Venice “La Serenissima”, a UNESCO World Heritage Site. 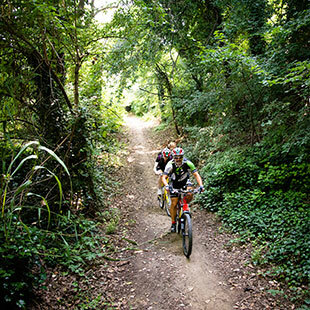 This tourist destination is particularly enjoyed by cyclists during the months of March and April, when the weather is mild and you can crunch out a lot of miles, getting your legs ready for more challenging tours, or in September-October to recharge your batteries by combining sun, sea and relaxation. 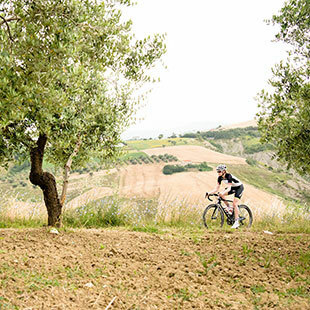 The available itineraries range from 20-30 km to the long ones of 100 km. The most well-known is the wonderful Gira Tagliamento. 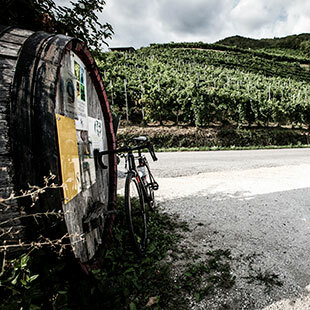 Another option is the sinuous and vigorous routes through the Prosecco hills in the hinterland, characterised by its particular microclimate and very varied terrain (clayey, but not too much), dotted with trails and dirt roads, completely surrounded by nature. 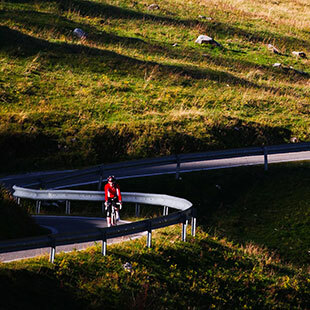 In this area there aren’t any “one-off” itineraries, because the ever-changing nuances of colour, light and scents mean itineraries can be repeated in every season: from the Monte Grappa challenge – site of several stages of the Giro d’Italia – to the various slip-roads, or bretelle, that begin and end on the Montello cycling circuit. 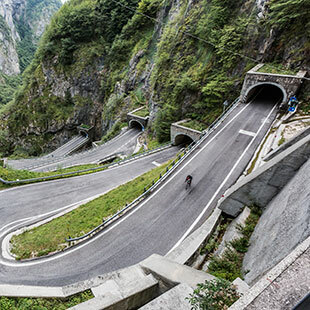 The Venetian Prealps, between the provinces of Trento, Verona and Vicenza, with the Little Dolomites and the Lessinia Natural Park, have nothing to envy from their big Dolomite brothers. 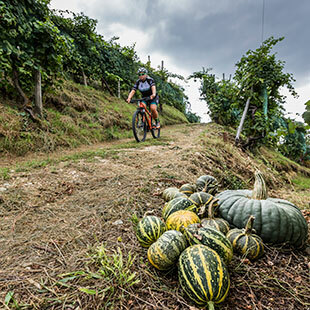 It is the first range that crops up from the Venetian plain, providing a good compromise for those who prefer flatter routes to then reach heights up to 1,800 m above sea level. 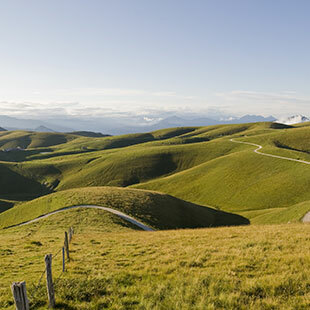 The richness of the Little Dolomites lies precisely in the unique nature of this environment, combining Mediterranean elements, such as olive groves and vineyards, with typical Alpine features, such as beech and chestnut trees. A dish originating from the humble traditions of fishermen in some of the coastal areas, and which in the Venetian tradition is also served with grilled polenta. In the Venice lagoon, nero di seppia, or cuttlefish ink, has been used to season the diced cuttlefish since ancient times. 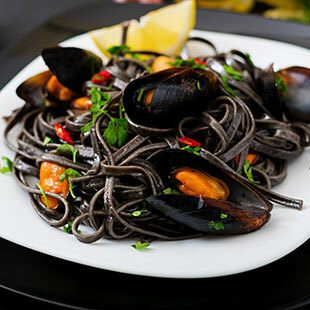 Moscardini are a real delicacy in Venetian cuisine and can be enjoyed either hot or cold. Unlike octopus, the moscardino has only one row of suckers per tentacle. Soup prepared with beans that have been cooked and puréed. Tagliatelle are added to the simmering pot and the soup is served with a piece of lard, pepper, grated Grana Padano cheese and olive oil. The fundamental ingredient is cotechino. This boiled meat dish also includes corned tongue, calf’s head and chicken meat, served with horseradish, salsa verde, mostarda and salt. A fresh and elegant wine known throughout the world for its versatility. Excellent pairings include gastronomic delicacies from Veneto, modern cuisine, and precious produce from the land such as Treviso Radicchio, White Asparagus, and local cheeses such as Morlacco and Imbriago. Beef accompanied by a sauce prepared with breadcrumbs, cheese, marrow, broth and black pepper. The name derives from “brisé” (crumbs), as to serve a slice of this cake it is necessary to give the centre a small tap with your fist and the large crumbs that break off become the portions. This typical dessert goes well with a glass of Recioto di Soave or Valpolicella wine. Bibione, in Venice province, and the whole Portogruaro area, boast much evidence of “La Repubblica Serenissima”, as well as their Roman, Mediaeval and Renaissance past. Itineraries here enable you to explore Christian culture and history via museums and ancient churches. 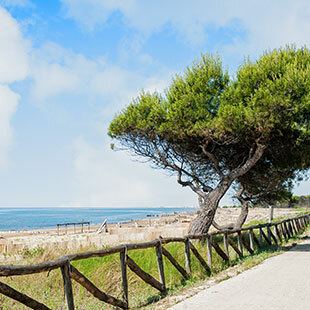 Bibione also hosts a natural oasis of great interest, a dense pine forest populated by various animal and plant species. Not far from Bibione stands one of the most famous and beautiful cities of art in the world: Venice. Picturesque with its calli (narrow pedestrian laneways) and canals traversed by characteristic gondolas, the city is also a place of immeasurable culture, which together with its lagoon, constitute a Unesco World Heritage Site. Among the works of art and monuments to be seen are Saint Mark’s Square – the heart of the city centre – with the basilica of the same name, Palazzo Ducale and the synagogues of the ghetto. 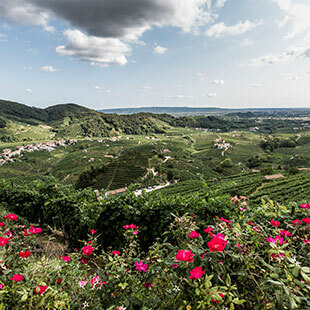 Prosecco Area refers to the provinces of the Veneto region (excluding Rovigo and Verona) and all of the provinces in the Friuli-Venezia Giulia region in which two DOCGs are produced: Prosecco di Conegliano-Valdobbiadene and Colli Asolani-Prosecco. Prosecco achieved fame in the nineties, but it was in the early sixteenth century that the need arose to distinguish Ribolla Triestina from other wines of the same name that were produced in the Gorizia area, and from the lower costs in Istria. At the end of the century, therefore, there was a change to the appellation, but more importantly, also to the precise geographic characterisation suggested by the identification of the place of production of antiquity: castellum nobile vino Pucinum changed to Castello di Prosecco (Prosecco Castle), near the locality of Prosecco. Lessinia and the Little Dolomites are a mountainous region in Veneto, north of Verona. 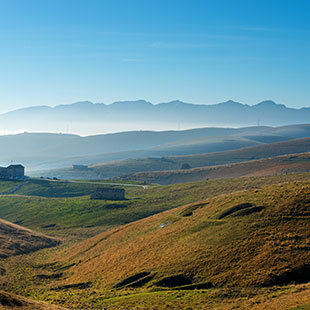 The area boasts ancient origins and is particularly known for the presence of fossils. One of the most popular attractions in the area, the Lessinia Regional Natural Park, extends for 10,000 hectares on the upper plateau of the Lessini Mountains up the slopes of the Little Dolomites, at altitudes between 1,200 and 1,800 m. It is here in this region that the Cimbri (a Germanic tribe) settled during the 2nd century AD.